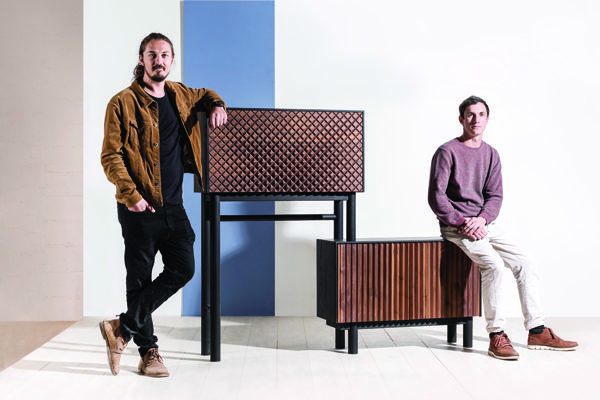 Anton Louw (left) and Nico Hendriksz with their award-winning drinks cabinet, the Heildronk Kas. How does this award contribute to the success of your brand? As a young furniture brand, receiving the Best Furniture Design Award encourages us to continue what we love doing. It is valuable for us to receive such positive feedback from experienced industry professionals. It is also a great opportunity to grow the brand, as the exposure that comes with such an award stretches far beyond the walls of the exhibition. This award creates trust in our brand. Why is Kino successful? When you buy a piece of Kino furniture, you buy into our story. We are passionate about what we do and therefore it is important we do it well. We strive to develop unique items that are well designed and exceptionally made. How do you and Anton share the workload? The design process is very much a duet between the two of us and happens quite naturally. I am more focused on the technical aspects of the designs and handle the client service side. Anton is more workshop-orientated and ensures the end result is up to standard. When did you start Kino and what are your future plans? Kino was launched in 2016. We began to develop our own furniture range in that year. We constantly have new ideas that we would like to explore and develop. This is our driving force. Our goal is to always have the opportunity to keep exploring and improving. Who is your target market? 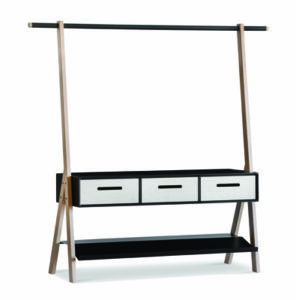 Interior designers as well as individuals who appreciate quality furniture and contemporary design. Highlight one project that has really made you proud. The Heildronk Kas. We developed this product as a showpiece for the 100% Design Exhibition in 2018. This concept had fascinated us for some time and the exhibition was the perfect opportunity to turn the idea into reality. It was fun to execute, as it involved various manufacturing processes, although the tight deadline and relative uncertainty of the outcome were nerve-racking. But it turned out better than we’d imagined and secured our Best Furniture Design Award. What are your greatest challenges? As a small company, we have to multitask. This includes being designer, problem solver, cleaner, craftsman, receptionist and accountant – and all at once! What inspires you? Inspiration comes from undefined sources and is difficult to pinpoint. Sometimes a design just feels right. It is inspiring when materials and form come together to create a functional, well-made product. It is also thrilling to discover different ways to use an existing tool to create something new. Why do you like your craft? The deeper you dig, the more you find. Turning a concept into reality keeps our work interesting. We will constantly learn if we keep on doing what we do. It is also rewarding to deliver the final product to a client and see how it becomes part of their life.